I'm not too sure about this vacuum yet I love the cordless feature it makes it easy to get around. It is light. The only negative thing I could think of is that I'm not too sure about the suction. It cleans, but it doesn't feel like it's as strong as my old upright Eureka. I wanted a cordless two-in-one that has really strong suction. I will give it about a week and I will update my review. Update 10-04-2018. I have had this vacuum, and used it a few times a week since June 2018. That's enough time to have tested it. It's not a very powerful vacuum. It's good for light pick up, but nothing major like heavy crumbs or certain grades of pet hair. Next issue is how often the container needs emptying in between vacuums. I have to empty it each time I vacuum a room. The suction weakens the more filled with debris it becomes. Bottom line is...This is a good vacuum for quick-light jobs. If you want a serious vacuum with strong suction, get an actual vacuum. I looked into returning about a month after using it, but it's a pain to do so. You have to pay shipping as well as accept a percentage off for restocking. Don't buy this if you need a real vacuum to clean up the usual lint, dust, hair, pet hair, etc. This one isn't strong enough. 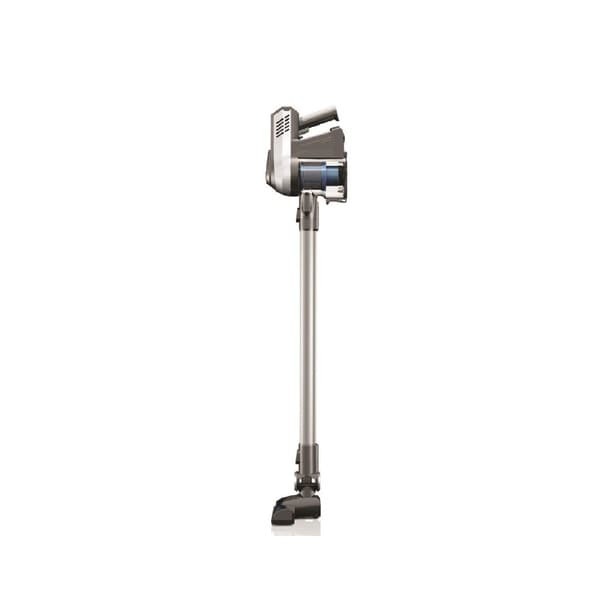 I have a very good dyson for deep cleaning the carpet but there are lots of time I don't want to drag it out for a small job and the Cruise Cordless is perfect for the job. No cord to fool with, it's light and does a great job on carpet. Super light and works out of the box. Great for spot cleaning. We love the convenience of this light weight vac. Runs long enough to cover my 1600 square ft home. Great suction power also. I've been looking for a vacuum for my patio that was lite weight and portable. I've tried a few different ones which was a bust. I've looked at this vacuum for a while but went with a few different brands This little vacuum has turned out to be help in keeping the patio spot free. Which I would have chosen this one to begin with. The price for everything you get is also great. Highly recommend this. Does a great job and is cordless.